Natasha sluggishly opened her eyes, blackness surrounding her. In the distance, the hum of an air conditioner pierced the silence of the room and a surge of anxiety leapt within her body. Wha…Where am I? Her hands fisted the sheet as her gaze darted back and forth in the dark trying to figure out where she was. Okay. Okay. Calm down and relax. Calm down and relax, she told herself, using the same chant she had used plenty of times when doing a surgery. Just calm down. She breathed, inhaling a deep breath and releasing it slowly as her eyes began to adjust to the darkness. Memories of the evening slowly penetrated her mind. She sighed in relief and turned onto her side, snuggling into the pillow and hoping that sleep would once again claim her. Time passed and like earlier, when she closed her eyes, the scene at the café infiltrated her mind. She didn’t want to think. She didn’t want to remember. All she wanted was to be lulled back into the mindless, dreamless state she’d just come out of. When she realized that wasn’t going to happen, she sat up in bed, only to sway to the left and then to the right.Whoa. She grabbed her head. Once the room stopped spinning, she planted her feet on the floor and felt her way to the adjoining bathroom. She wasn’t much of a drinker and the queasiness flowing through her body reminded her why. She hated the after effects of alcohol. Happy to see a new toothbrush and toothpaste near the sink, she brushed her teeth and splashed cold water on her face. The small gesture had her feeling somewhat alive. Returning to the bedroom, she sat on the edge of the bed. It was too quiet. She could turn on the television mounted on the wall, but that’s not what she wanted. What she really wanted was to be wherever Malik was. Ignoring her inner voice, she went in search of him. When she stepped into the hallway, it was just as quiet and dark. A light from the lower level illuminated part of the staircase, whereas the other end of the hallway was pitch-black. She didn’t hear Tank, so she assumed Malik had put him in the basement since he had mentioned it earlier. She glanced across the hall at Malik’s bedroom, his door slightly opened. Natasha brought her hand up to her mouth, her bottom lip folded between her teeth. She knew she was asking for trouble if she went to him in the middle of the night, but the need to be held was overriding all common sense. With one foot in front of the other, she approached his door and slowly pushed it open. He had showed her around upstairs, but with the darkness, she could barely see her hand in front of her face. A sliver of moonlight shone through the slats of the blinds, guiding her to the massive bed in the middle of the room. There wasn’t enough light for her to see him clearly, but it didn’t matter. She remembered every inch of his strong, enticing body. She licked her lips recalling how she dug her fingernails into his unbelievably broad shoulders the night he rocked her world.And she would never forget his wide chest, sprinkled with soft, dark hair perfect for running her fingers through. Natasha swallowed hard. Why was she torturing herself? Torturing herself with memories of making love with a man who didn’t want the same things she wanted? Marriage. Children. She asked herself the question, but she knew the answer. Malik had brought her more pleasure in one night than her own husband had brought her in all the years they were together. She shook her head knowing she should go back to her room, but she couldn’t. She wanted him. Right now, she needed him. Natasha stepped closer to the bed. Her heart lurched when her gaze landed on the spot where he’d been shot just below his ribcage during a mission in Afghanistan years earlier. 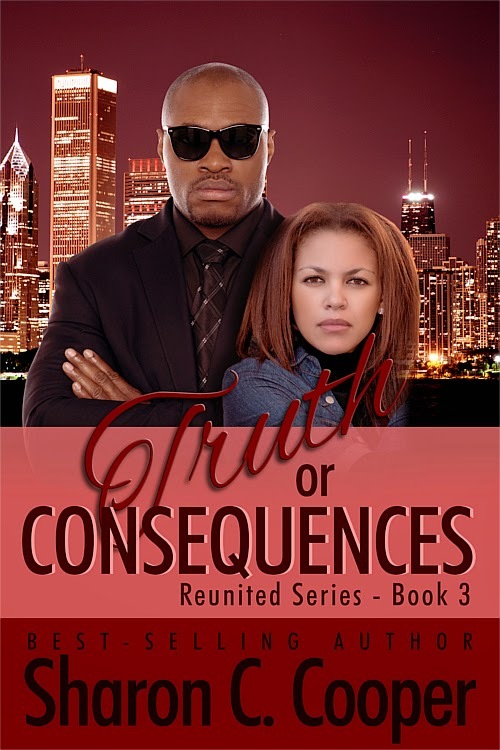 She stretched out her hand, her fingers grazing the wound that had almost cost him his life. Malik bolted upright with his gun drawn. Malik released her and slapped his hand against the side table. Light illuminated the room. Natasha stumbled back. Tripping over his shoes, she landed hard on her tailbone. Fear kept her moving. She shuffled her feet and scooted away from him until she hit a wall, unable to go any further, unable to breathe. 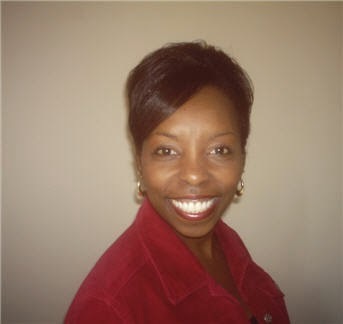 Bestselling author, Sharon C. Cooper, spent 10 years as a sheet metal worker. And while enjoying that unique line of work, she attended college in the evening and obtained her B.A. from Concordia University in Business Management with an emphasis in Communication. Sharon is a romance-a-holic – loving anything that involves romance with a happily-ever-after, whether in books, movies or real life. She writes contemporary romance, as well as romantic suspense and enjoys rainy days, carpet picnics, and peanut butter and jelly sandwiches. When Sharon is not writing or working, she’s hanging out with her amazing husband, doing volunteer work or reading a good book (a romance of course). 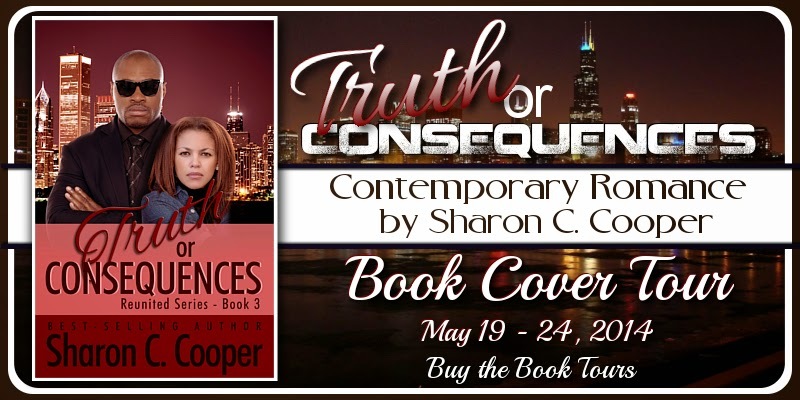 Thank you for spotlighting Truth or Consequences! Greatly appreciate it!